1026 Court St Alameda, CA. | MLS# 466234 | Andrew de Vries, Probate Real Estate, San Francisco Probate Real Estate, Oakland Probate Real Estate, Berkeley Probate Real Estate, Alameda Probate Real Estate, Lafayette, Contra Costa Probate Real Estate, Probate realtor, Probate agent, Probate Broker. 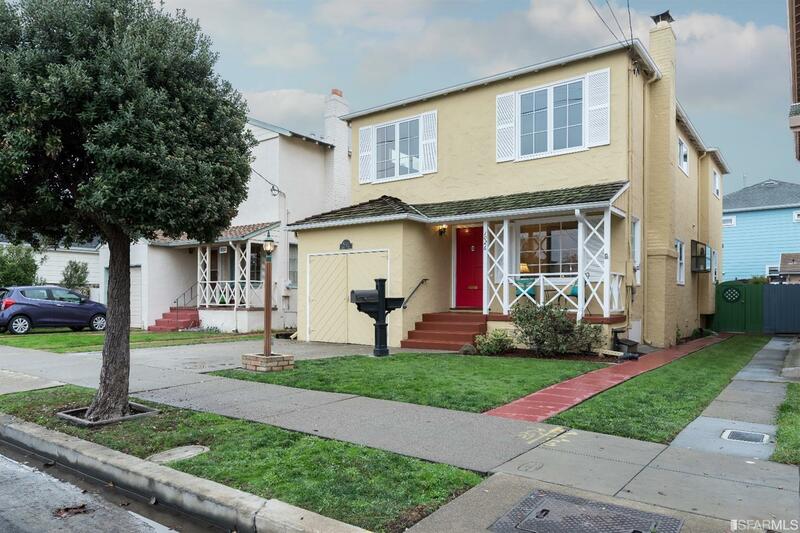 Just Sold - 1026 Court Street, Alameda - Listed for $929,000, Just Sold for $1,055,000 ($126,000 Over Asking) in 3 Weeks with Multiple Offers! - This spacious and semi-original 3BD/2BA two-story Contemporary, was located in Alameda’s desirable East End, offers the best in Alameda living: A tranquil neighborhood walking distance to Shoreline Park, local schools and parks, nearby shopping and dining (South Shore Center & Park Street), and easy commute access to the rest of the Bay Area! Boasting 2020 Sq Ft per the tax records, the home featured a bright living room/dining room with fireplace, roomy eat-in kitchen with laundry closet and sliding doors to rear sun deck, a full bedroom and bath with deck access, all on the main level. Upstairs was a large master suite tucked off the street, a 3rd bedroom and huge family/media room (or possible 4th bedroom conversion)). I provided all estate liquidation, painting, floor refinishing, staging, marketing and negotiation on behalf of professional Trustee selling to pay for the elder's continued care. ---------------- This spacious 3BD/2BA two-story Contemporary, located Alameda's desirable East End, offers the best in Alameda living: A tranquil neighborhood walking distance to Shoreline Prk, local schools & parks, nearby shopping & dining (South Shore Center & Park St), and easy commute access to the rest of the Bay Area! Boasting 2020 Sq Ft per tax records, the home features a bright LR/DR w/FP, eat-in kitchen w/lndry closet & sliding doors to sun deck, & a full BD & BA w/deck access, all on the main level. Upstairs is a large Mstr suite tucked off the street, a 3rd BD & huge family/media rm (or 4th BD conversion). Otis Elementary & Krusi Prk are 1/2 block away, 3 blks to Lincoln Middle School, truly a AAA location, come out & see the possibilities!